Marvelous Multiagers! 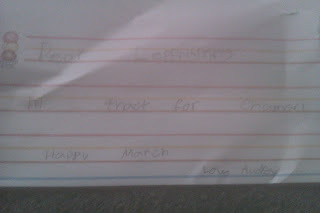 : Happy March, Leprechaun! 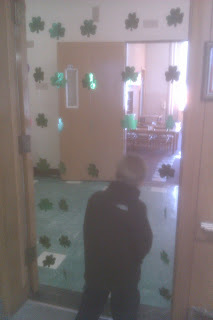 My class went crazy over St. Patrick's Day! Crazy as in actually crazy... I'm lucky they actually took a spelling test. Last night, I made shamrock rice krispie treats! I followed the recipe at Simply Designing. Should've used more green food coloring....... oh well. They were still cute! I got my shamrock cookie cutter at Party City, if you're interested! Then my brother helped me make little bags that I filled with chocolate coins! This morning, my BTF messed up my room and hid the bags around the room like an Easter egg hunt while we were at recess! When we got back, the kids LOST IT. They went crazy running around the room and found the bags really fast, at which point they devoured the chocolate in a matter of seconds. But they did clean the entire mess up in under 3 minutes, which was truly breathtaking. 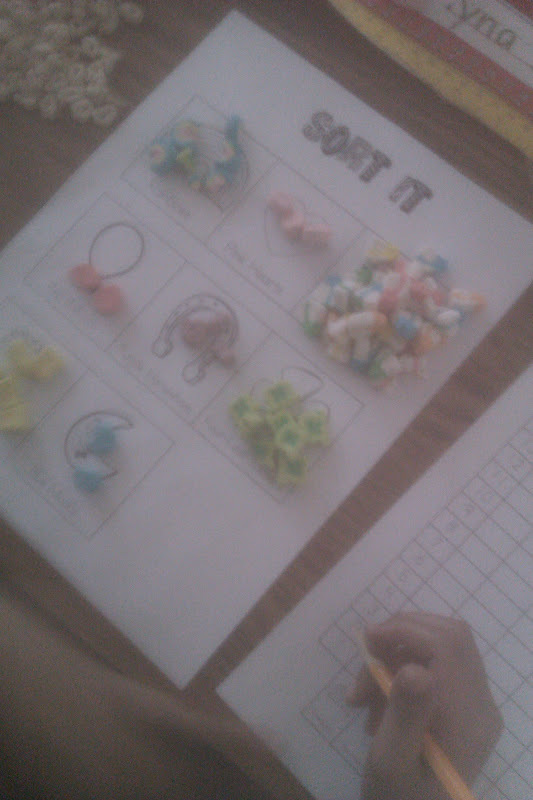 Later, we graphed Lucky Charms! I got the activity sheets at Kindergarten Korner. They were awesome! I don't know if you can tell, but this girl had an EXCESSIVE amount of shooting stars. Like over 30. We all had ridiculous amounts of stars and only like 1 or 2 of the other ones. Did anyone else graph Lucky Charms? I'm wondering if my box was crazy or if they are all like that, haha! I also bought shamrock door hangy things at Party City. These were amazing for the 20 minutes that they stayed like this. Soon after, two fell down and two other ones got tangled. At least I have a whole year to untangle them!!!! Aw. I love my crazy kids. We had a ton of shooting stars too. In fact when I did the example that was all I had and I had to get another handful out. Sounds like you guys had a great day! Yes! We had lots of stars too. What's with that? Looks like you guys had a lot of fun! I love that little note! What a cutie!